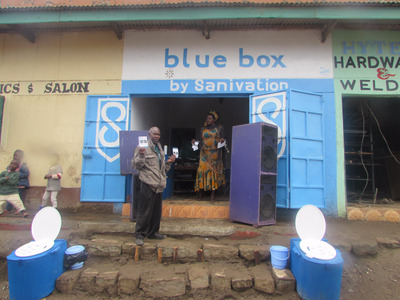 Courtesy of SanivationA woman demonstrates how to use Sanivation’s blue box toilets. It’s easy to take something as ubiquitous as a toilet for granted when you live in a developed nation like the US. To help solve this problem, Andrew Foote and Emily Woods started Sanivation — No. 55 on the BI 100: The Creators — a sanitation startup that installs in-home toilets in East Africa and turns the waste into briquettes of sustainable, environmentally friendly fuel. Foote and Woods came up with the idea for turning waste into fuel as undergraduate students at Georgia Tech University in 2011. The pair developed a thermal treatment system for human faeces as a research project and later entered their work into Start-Up Chile, a business accelerator in South America. Courtesy of SanivationThe storefront for blue box toilets. Foote and Woods knew from the beginning that to succeed they’d need to cover the entire system from start to finish. The lack of existing infrastructure in some parts of Kenya means that providing toilets or a treatment system wouldn’t make much of a difference; both must exist to effect systemic change. So instead of providing one component of the waste-treatment business, Sanivation operates an end-to-end service. It installs private, container-based toilets in homes, and they are maintained for a $7 monthly fee. 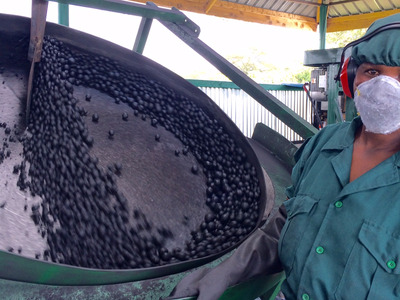 The waste collected from the toilets is taken to a processing plant, where it’s turned into fuel briquettes that work as an alternative to charcoal. This full-circle model takes a necessary system and elevates it into something sustainable and useful. “How do you market something that people feel uncomfortable talking about?” Woods says. On top of that, Sanivation had to convince clients, many of whom can’t count on a steady monthly paycheck, that paying the monthly fee for the toilet was a worthwhile expense. Training customer-service representatives and maintaining communication with clients proved to be another challenge, especially once the team realised that many homes in Naivasha don’t have addresses. Undeterred, they developed an address system themselves. 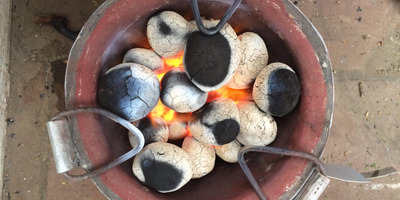 Sanivation combines two waste streams in a metal bucket — human excrement and carbonized agricultural biomass waste, which comes from things like sugarcane gas, corn cobs, rose farms, and rice husks — and heats it to a temperature that neutralizes harmful pathogens and allows the waste to be transformed into a briquette of fuel. “We need more poop to be able to keep up with demand,” Woods says. The entire treatment process demonstrates a core aspect of Sanivation’s business model: relentless innovation. With no outside infrastructure to rely on, Woods and Foote must adapt and change almost daily to meet needs and advance their mission. Going forward, Sanivation’s biggest goal is also its biggest hurdle: scaling the company. 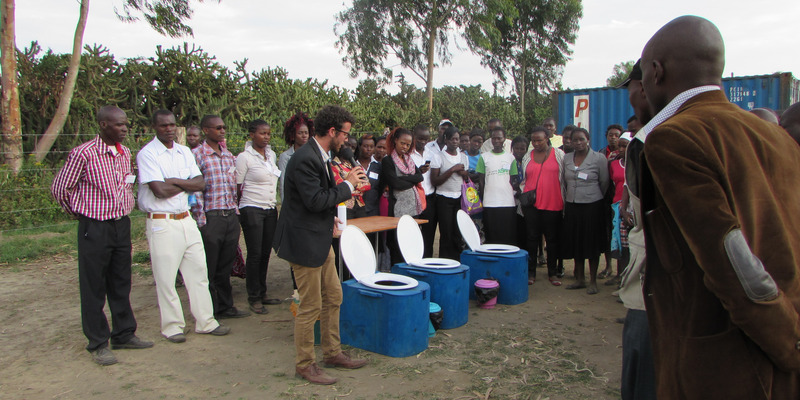 Sanivation operates 100 toilets in Naivasha and plans to expand to more than 500 by the end of 2016. The company is also working with refugee camps to build customised systems and train residents to operate them on their own. Courtesy of SanivationSanivation cofounder Foote explains the blue box toilets. Sanivation may still be small, but it’s already affecting people’s lives. Foote recalls an older customer coming up to him one day and bending over with her hands pressed together in a salute of gratitude.